This is a delicious green tea made from the stems and stalks that are removed from the leaves during sencha production. Low in caffeine because it is roasted. The stems for our kukicha and houjicha come from premium quality Shizuoka Prefecture tea leaves picked in the early spring, which are then steamed and roasted. 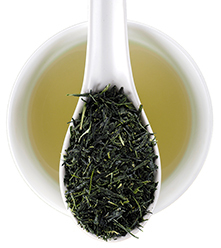 This results in a savory, nutty, Japanese green tea with an aroma that might remind you of puffed rice cereal from your childhood. There's no bitter notes, even when brewed more than once. 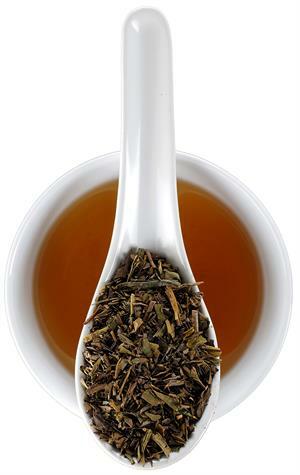 Its caffeine content is lower than most other green teas. Available in a 1.5 oz. resealable bag. 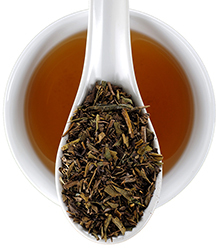 Many of our customers make iced tea with Houjicha.